Chair Pose With Twist strengthens the muscles in the legs and opens the muscles of the back. Chair Pose With Twist is a standing pose that is for beginners and advanced yogis alike. While many yoga poses focus primarily on the stretching benefits, chair pose focuses in strengthening the muscles in the legs while incorporating flexibility training for the spine which is typically stiff from holding it in the same position day after day. If you are looking to tone your legs and improve your spinal health you should learn how to do Chair Pose With Twist. Chair Pose With Twist is a pose of strength and flexibility. It is also a pose that teaches you better posture in addition to creating flexibility in your spine. In general, our backs are easily injured due to the same position we keep them in. Rarely is the occasion that you open or twist your vertebrae in an intentional way. That is why twisting in yoga is so valuable. That being said, if you have any back injuries or surgeries check with your doctor. You may be advised to avoid twisting all together. 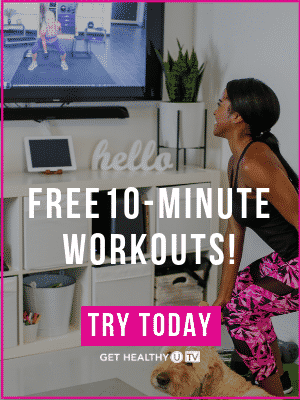 If you are looking for other ways to get in shape and tone your legs try our blog 8 Must-Do Moves To Get a Lean Dancer’s Body. 1) Stand tall with legs together and inhale to reach arms straight up overhead. 2) As you exhale sit back over your heels until knees are at a 90 degree angle. 3) Pull hands in a prayer position into your chest as you slide your shoulder blades down. 4) Hold while you inhale and as you exhale twist your left elbow across your knees. Press your elbow against the outer edge of your right knee. Be sure to keep your heart above your hips. Hold and breathe for 30 seconds. 5) Return hands to center and switch sides.